Nebraska Alzheimer's Advocacy Day is a chance to meet face-to-face with elected officials to discuss Alzheimer’s disease and its impact in Nebraska, share your personal story of how Alzheimer’s has impacted your life, and make strategic requests of state policymakers. Terry Streetman, Public Policy Manager for the Alzheimer's Association-Nebraska Chapter, chats with Mike Hogan about the upcoming State Advocacy Day and current legislation the Alzheimer's Association is supporting at the state level. 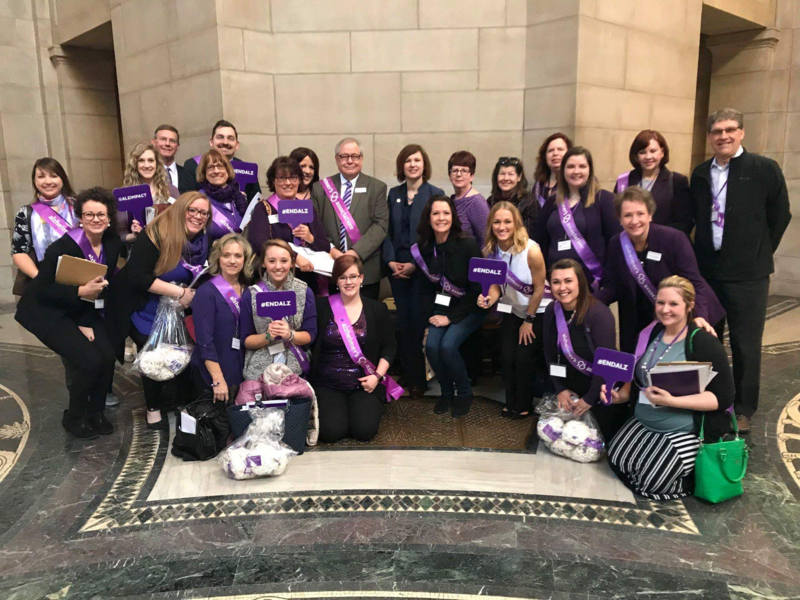 You can participate on this exciting day as people gather at the capitol, DRESSED IN PURPLE, to show elected officials how many Nebraskans are impacted by Alzheimer's disease.